Monolith Soft is known for the Xenosaga and Xenoblade series, the most recent entry being the delightful Xenoblade Chronicles 2 for the Switch, but the studio has also worked on multiple Zelda games in the past. 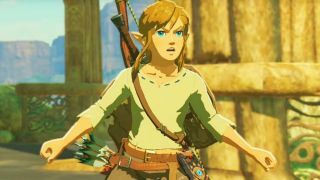 And according to a new batch of job listings on its website, it's now hiring for another major Zelda game which could well be a follow-up to Breath of the Wild. The listings include several common game design positions such as rigging artist, effects technical artist, and character modeler, as well as more senior positions like project manager. More specific openings include main quest designer, map planner, and map modeler. These are all roles you'd expect to see in the credits of a Zelda game, of course, so they're not much to go on in terms of predicting the nature of the game. It could be a Breath of the Wild-style sandbox or it could be a more guided adventure a la Skyward Sword. That said, Monolith Soft's history with the Zelda series does suggest this mystery title will lean toward Breath of the Wild's design philosophy. Monolith worked on Skyward Sword and Breath of the Wild, and as Siliconera reported in 2017, Nintendo producer Eiji Aonuma said that while Monolith mainly contributed to the art of Skyward Sword, the studio was instrumental in shaping the world of Breath of the Wild. Monolith had worked on other Nintendo games in the past, so given its experience crafting the open-world Xenoblade games, it was an easy pick to support the most ambitious Zelda world yet. "For Breath of the Wild, we've been assisted by level designers used to large game areas in order to make topographic arrangements," Aonuma said of Monolith. That last bit about topographic arrangements caught my eye. If you break it down, damn near every game has to handle topographic arrangements in some way, but the term is especially interesting given the context of Monolith's contributions to Breath of the Wild. The studio was basically brought in as a sandbox specialist, so if Monolith was going to do another Zelda game, it would make sense for it to be of a similar open-world style. And if that is indeed the case, it would also make sense for the studio to be hiring a map modeler and planner, which it is. And we haven't even mentioned the fact that Breath of the Wild was a massive critical and commercial success which Nintendo will likely want to follow up. This is all just a hunch on my part, and I may be reading too much into things, but from where I'm standing all signs point to Monolith's mystery Zelda game being some sort of follow-up to Breath of the Wild. I'm not saying it'll be a direct sequel, but my gut tells me that Nintendo and Monolith want to build on that game's ideas with another ambitious Zelda world, and while they don't confirm it, these job listings definitely don't discredit that possibility. Between an adorable Link's Awakening remake and a Crypt of the Necrodancer spinoff, Nintendo has been getting refreshingly weird with Zelda games lately.